Corrodi was born in Frascati (an alternate source lists his birthplace as Zurich) and lived for many years in Rome. 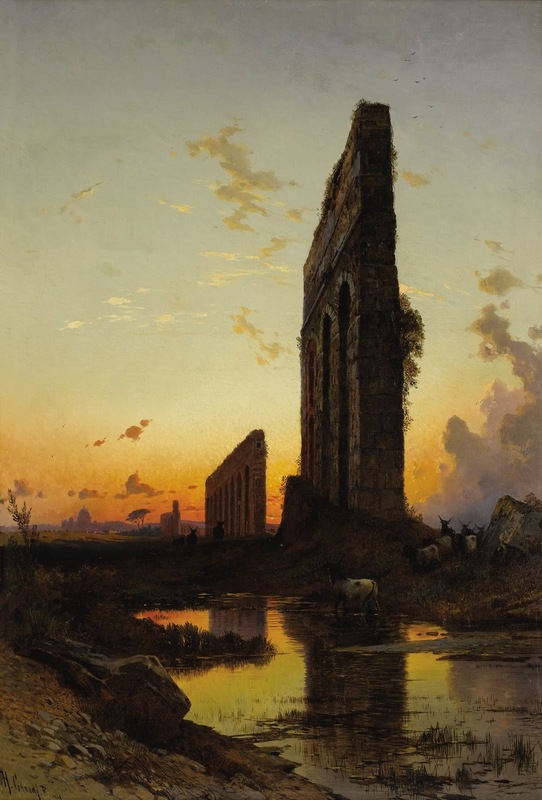 Corrodi studied at the Academy of St Luke under his father, Salomon Corrodi (1810-1892) and in Paris (1872). Corrodi received commissions for history paintings from the British royal family. He was acquainted with most of the European royalty of the time, including a friendship with Queen Victoria, and traveled widely in the Far East, including Egypt, Syria, Cyprus and Istanbul, which provided the subject matter for many of his paintings. He is the brother of Arnold Corrodi. Originally a landscape painter in the academic style, much of his work is also typical of the Orientalism style of the 19th century. In 1893 he was knighted as an Academic of Merit by the Academy of St Luke, where he had been a professor. He died in Rome on 30 January 1905. Corrodi's work is in the Frye Art Museum in Seattle, WA, the Dahesh Museum of Art in New York, Qatar National Museum, and Museo di Roma in Trastevere.